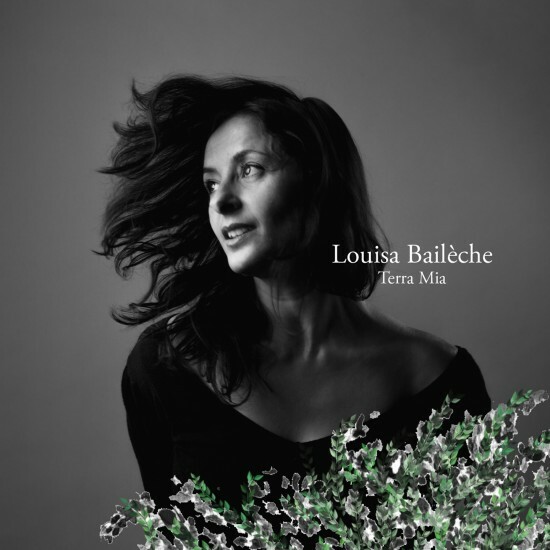 Louisa Baileche's passion for music dates back from her childhood when her mother was singing traditional Italian songs, when his brothers and their friends were playing guitars and darboukas, echoing to the Algerian origins of her father. Louisa started singing in the venues of Paris in the early 2000's, performing with rock bands and singing French Chanson, while taking classical vocal classes at the Conservatory of Music. Her new album Terra mia, recorded in 2014 with the complicity of composer and arranger Laurent Roussel, is the creation of a project she's carrying in her soul for ever, celebrating her Italian roots. "Terra mia is a memory of which I am the guardian,... and the queen, the cradle of the emotions which animated me and raised! With this album, I open the gate of my original grounds, with the incandescent Mediterranean colors, full with tenderness and imagination. This source, I celebrate it! I sing it! It is the cradle of emotions."